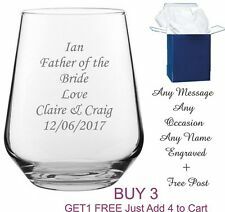 Personalised for any occasion. Text colour no colour just engraved into glass. we will set how we can to the text allowance and glass. Free gift box. New unused in original packaging. COMBINED SHIPPING OFFERED. Please note p&p costs are for postage, packaging and time and effort of packaging the item and visiting the post office. Wherever possible recycled packaging will be used as an Eco friendly measure. 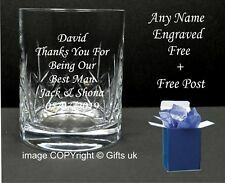 Text colour no colour just engraved into glass. Free Gift box. (can be used for any shorts). Bought in France almost 20 years ago.retro collectables. This classic PAIR OF DECORATED GLASSES! Uncertain what particular Anniversary is referred to here. "I have 3 Pairs of these identical Glasses available. 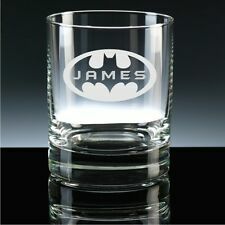 Hi you are looking at a personalised whiskey tumbler. Vinyl colour writing can be changed to suit your needs. 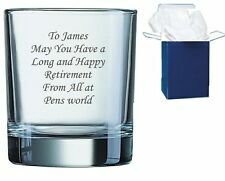 THIS IS FOR A SET OF 6 RYDER CUP '97 JOHNNIE WALKER SPECIAL EDITION GLASSES. THE GLASSES COM UNUSED. Style / Model : High grade cut crystal glass scotch / whisky tumblers. 9 sided shape with finely cut rounded bottoms. Sold as a pair. Good weight and feel of quality in the hand. Condition : Used. 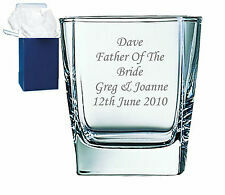 The set makes a great gift for any anyone, a very nice way to pass out the shots. 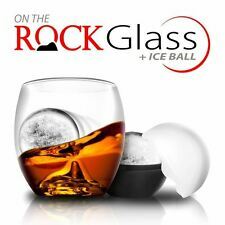 With a rock shape at the bottom of the tumbler, natural liquid motion is increased, and by making the single solid ice cube using the mould provided, your whiskey will cool to perfection and increase the amazing aromas. 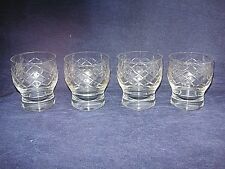 6 small lines embossed on the front of the glass. Would make a nice gift. It is very eye-catching with its colouring. Red Stem Cocktail Glass. in very good condition. I found this in my grandparents loft alongside other glassware that's the only way I have managed to date it roughly. Unmarked that I can see. 2 X Gin Slogan Glasses. New. Condition is New. Dispatched with Royal Mail Signed For® 2nd Class. Whisky Conical Shaped Glass Tumbler Thistle Decor. Condition is Used. Dispatched with eBay delivery – Shutl 2-3 days. They enable you to share the drink in your hipflask without sharing your cold. They hold around 120ml.